Lean Tip #452 - Commitment from management is a “MUST”. In fact, it is the driving force. Procedures, tools, and database are all useless if the management does not want to see an improvement culture in the organization. The employees of the organization will not care, if the management themselves do not show the attitude to follow the right path. Sparked some comments spearheaded by Jamie Flinchbaugh about management not knowing how to demonstrate commitment. I think Jamie is right so I thought I would share my thoughts on the subject. The truth is, demonstrating commitment is hard work. Wavering commitment is usually seen as no commitment at all. The only way to achieve a reputation for commitment is through determination and persistence. Genuine commitment stands the test of time. Commitment is demonstrated by a combination of two actions. The first action is called supporting. The second action underlying commitment is called improving. It is the combination of both supporting and improving behaviors that makes up the practice of commitment. Company leaders demonstrate their commitment to change and improvement by making these behaviors visible to everyone. Leading by example is the ultimate demonstration of your commitment. When you make a commitment to do something, you are saying that they can trust you and rely on you. 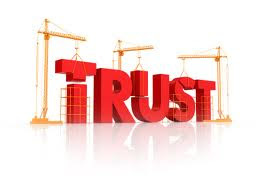 Commitments are involved in trust, and trust is the foundation of continuous improvement. Commitments are things that you say you will do and people trust you to do. When you fulfill those commitments, people trust you and will trust you in the future. Managers that do not follow through on commitments are not deemed as trustworthy, and trust is vital for transforming a business culture.